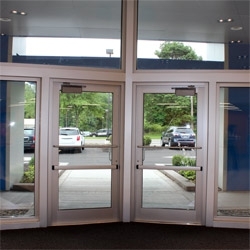 We have extensive training in installing all types of commercial glass entry doors and hardware systems used on these glass entrance doors. When it comes to glass doors for commercial, institutional, retail or industrial applications, Flower City Glass has the expertise to meet any need with the hardware know-how to make it work. Choose Flower City Glass for your next project.